For the last year of our six-year marriage I have noticed my wife has gotten distant from me. I tried to talk to her about it but she got in a bad mood and told me that I would not understand anyway. I asked if she was seeing someone else and she got so angry that I thought she would hit me. She told me she was not seeing anyone but she should be. She said if she did see someone it would not be someone who went fishing nearly every weekend without her. It would also be someone who would start a family before she is old enough to be a grandmother. And by the way they would take her out to dinner sometimes and maybe watch a movie with her. I work a fifty hour week to support us and because I don’t want her working. My fishing on the weekend is the most relaxing thing I do. It does not seem fair that I should give it up. I have offered to take her with me but she does not like fishing. She knows I don’t sit and watch romance movies like she likes and I prefer her cooking to any restaurant in town. And as far as children goes we are in our late twenties and we can wait a few more years. Is it too late to save things? What should I do? It is hard to tell which is worse; your blindness or your stupidity. So far, everything you have mentioned is about you. Hey, there is a lady involved here, too. At least there used to be. If she wants to work, let it be her choice, not yours. What does it hurt to watch a movie with her? Take her out to dinner and you might want to re-think your position on when to have children. Eventually you will see her again, even if it is only at the divorce hearing. Tell her you have seen the light and recognized the error of your ways. If you have to get down on your knees then do it. You are wrong about this and you had better do something about it quickly. 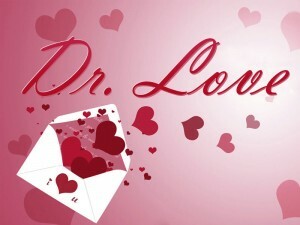 Doctor Love: Why do women cheat?